Nutrition plays a big part in leading a healthy, enjoyable and active life – and that fact is no different for seniors. Watching what you eat and drink is a big responsibility, and there's no better time to acknowledge this than during March, which is National Nutrition Month. The awareness effort, led by the Academy of Nutrition and Dietetics, implores Americans to learn more about the food they eat and how to best craft a nutritious diet. It's important for seniors to note that as they age, their dietary needs change too. For instance, altered metabolism may play a factor in seniors losing or maintaining a healthy weight. As the Huffington Post noted, it's a common misconception that it's OK to skip meals, even if some seniors experience a loss of appetite as they age. The reality is that foregoing a meal or sustenance of any kind for a period is never a good idea for a senior. Even if a big breakfast seems like too much fuss too early on, having a bowl of oatmeal or some fruit helps to start the day off right. The same goes for any time during the day when seniors normally eat. If for any reason you don't feel hungry enough for a full meal, don't go for too long without at least a light snack. Eating helps avoid fatigue and long-term lack of nutrition. You can always stand to drink more water. Dehydration is a concern for seniors, and there's only one way to ward it off. 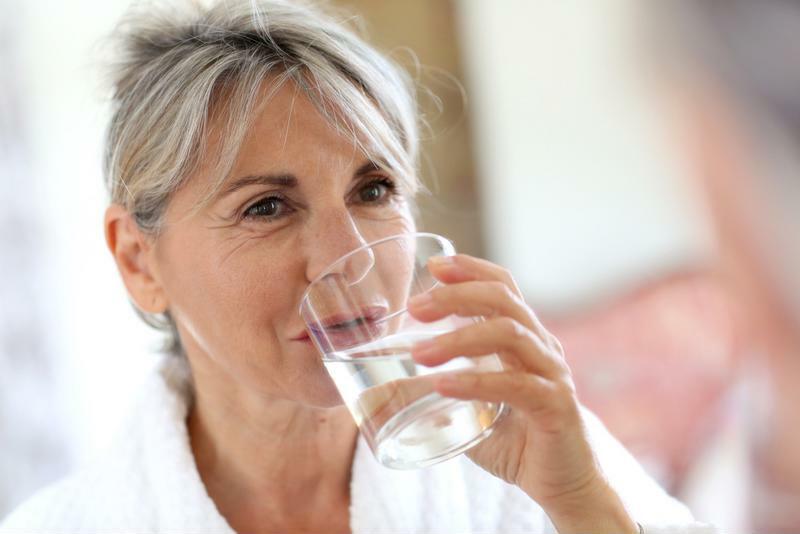 However, some seniors face the same problem with water as they do with appetite, in that they don't get as thirsty as often as when they were younger. There are a couple of ways to get around this: One is to replace beverages you usually drink with water – for example, a soda or tea often drank with dinner. If you can, always bring a water bottle with you. Having one on hand not only encourages you to drink more water, but will always remind you when you need to fill up again. Drink water whenever you can. Even a senior's favorite food can become a bit stale over the long haul. However, that's no reason to stop eating it, especially if it's nutritious, like fruit or vegetables. For instance, instead of cooking down greens with fat and using a lot of salt, try topping raw greens with a squeeze of fresh lemon or balsamic vinegar for a tasty twist on an old standby. When it comes to fruit, try creating smoothies. There are a ton of smoothie-makers on the market that are easy to use, and seniors can come up with their own favorite combinations, like banana and strawberries. If you don't know a lot about nutrition, or just need help in making better lifestyle choices regarding your diet, don't be afraid to contact somebody in your community who has such expertise, or an outside specialist who can provide assistance. Getting a professional opinion can help clue you into what foods you need to cut out and what nutrients you need to get more of. "Registered dietitian nutritionists can help all consumers determine the lifestyle balance that provides our bodies with the nutrients we need and still eat the foods we enjoy the most," said Academy of Nutrition and Dietetics Spokesperson Cordialis Msora-Kasago. Calcium and vitamin D: The Academy said seniors need more calcium and vitamin D than other demographics in order to maintain bone health. Options for getting these nutrients include fat-free milk, fortified cereals and multivitamin supplements. Fiber: Fiber is hugely important to a healthy digestive system and preventing complications like constipation. Peas and beans are recommended foods to get fiber, along with whole-grain bread and other fiber-fortified products. Good fats: You don't need to avoid fats altogether; the key is in knowing which fats are good for you and which aren't. For instance, trans fats found in junk and processed foods shouldn't be consumed. Instead opt for fish, vegetable oils, and nuts and seeds that contain polyunsaturated and monounsaturated fats that are more healthy for your heart. Maintaining a healthy diet is a lot easier for seniors than some may think. Just keep in mind that there are everyday decisions you can make to improve your nutrient intake and overall well-being.